Demand is growing for performance clothing that seamlessly crosses over from the gym to the street to keep up with busy consumer lifestyles. The fashion industry—even the luxury sector—is responding with exceptional collections for men and women that offer all-day comfort and style. However, while excellent design is critical for this new breed of resilient, versatile apparel, designers must rely on high-performance materials to contribute the majority of the functional benefits that consumers require. Climate resistance, odor control, UV protection, moisture management, and many additional benefits are available in today’s smart textiles that are engineered to work hard and look beautiful all day. But consumer demands doesn’t end there, as sustainability is yet another increasingly critical component of performance apparel. Consumers want to know that the clothing they buy is made with consideration for the planet and that it will do no harm during or at the end of its useful life. Functional, beautiful and sustainable. That’s a tall order for any performance material. To date, the vast majority of performance fabrics have been made from synthetic materials. While synthetics deliver outstanding technical benefits, consumers are starting to question some of the environmental aspects, including the raw material sources and potential microplastic pollution from use, care and disposal. 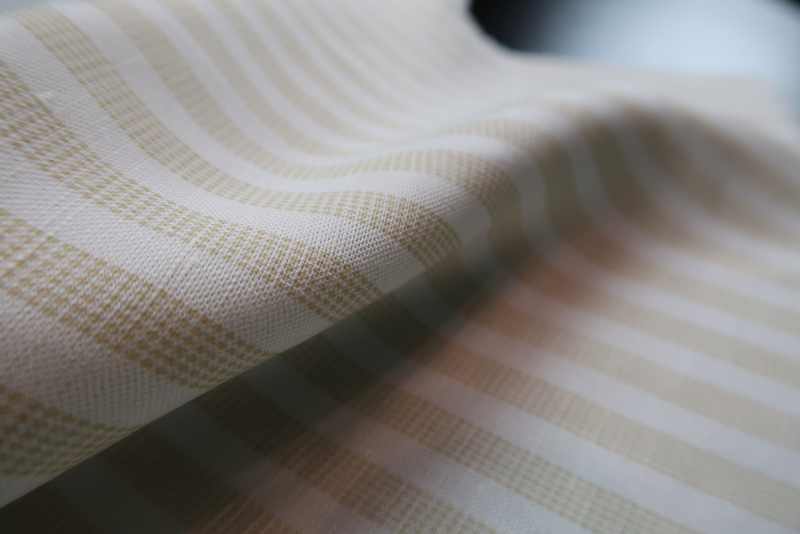 Natural fibers like cotton, hemp, linen and wool are loved for their connection to the earth, but many of the performance features in demand today must be instilled into the fabrics with chemical treatments. Botanic fibers like Tencel branded lyocell bridge the gap, combining high-performance benefits and natural origins along with an environmentally responsible profile from beginning to the end of its life cycle. The fibers are created from wood, a renewable, resource-considerate, and responsibly harvested raw material. Wood pulp is converted to fiber in Lenzing’s closed loop manufacturing operation. By virtue of its botanic basis and the fiber extrusion process, Tencel lyocell fibers are infused with valuable intrinsic performance and aesthetic benefits, like moisture management, high color saturation and luminosity. These days, apparel designers have a long check list of attributes to cover if they want the clothing they create to live up to consumer demands. What’s more, attention to every detail has never been more important. Selecting the best smart textiles is now the most important choice of all. The right botanic performance materials can contribute a wealth of technical features, a rich canvas for expert design, and—with the right selections—the sustainability foundation upon which thoughtful, fashionable, responsible apparel can be created and enjoyed with a clear conscience. Andreas Gurtler is head of business development for the Activewear segment at the Lenzing AG Headquarters and has been with the company for over 14 years. He provides vast experience in active wear and outdoor apparel innovations and technology.